In this tutorial we will be using GreenSock TimelineMax and GreenSock TweenMax to build a cool button.It can be easy to animate object which you want.You can download the latest version of those classes here. 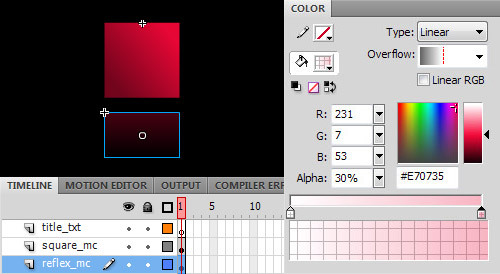 Create a gradient red(#E70735,#72051C) rectangle 50×50 px and with no stroke. 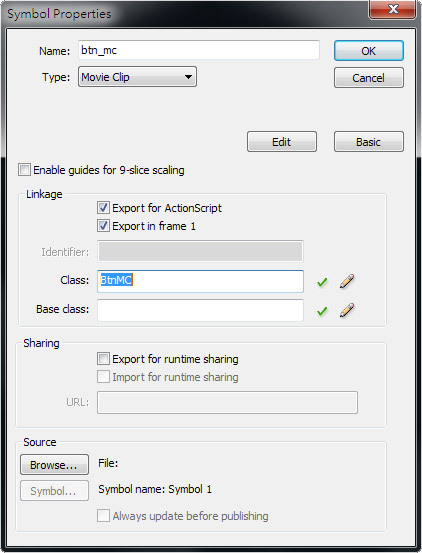 Make it a movieclip symbol and call it "square_mc".Set a Instance name "square_mc" in the Properties panel. 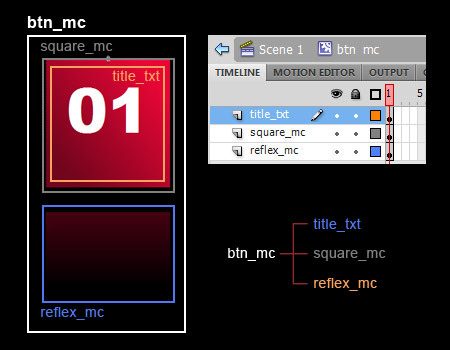 Select square_mc and hit F8 and create a new movieclip called “btn_mc”. Create two more layers inside btn_mc (besides the one already present with square_mc). Name them: "title_txt" and "reflex_mc". 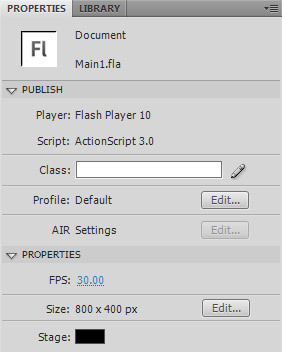 Create a transparent(alpha 0%~30%) red(#E70735) rectangle 50×30 px and with no stroke.Select the rectangle in the reflex_mc layer,hit F8 and create a new movieclip called "reflex_mc".Set a Instance name "reflex_mc" in the Properties panel. Create a dynamic text.Select the dynamic text in the title_txt layer.Set a Instance name "title_txt" in the Properties panel. 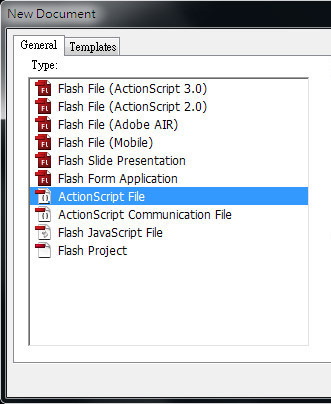 Name it "BtnMC.as", save it in the same folder as your Main1.fla. Let it can get more information from BtnMC instance. Now your can drag several btn_mc to stage in the library panel and publish it. 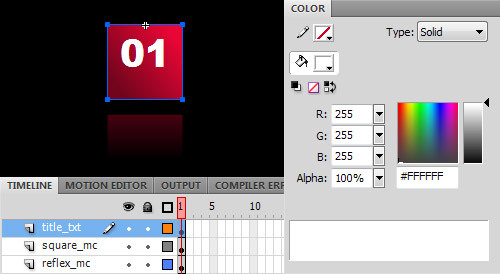 You will see how easy and cool to create a button by TimelineMax and TweenMax. Thanks for reading!I hope you liked this tutorial.Here is cs4 and cs3 versions up on the zip file.I will complete the part2 tutorial as soon as possible. If you want to have a button with custom text. You need to give each button a instance name(myButton1...) in Properties panel. 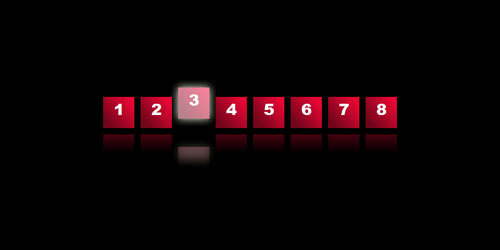 Then set text to each button in Main2 code(part2).